As if he didn’t have enough to do, on top of the Bad Seeds / Cave / Grinderman work, Brighton’s most visible resident also does movie soundtracks. (This isn’t really classical but it’s what we listened to this week). We bought the bleak film The Proposition some years ago, because Cave wrote the music and script. It’s as bleak as you might expect: it’s a violent but brutal Western starring Ray Winstone. (His character makes a grim law-and-order-related proposition to Guy Pierce’s outlaw). Cave and Ellis also wrote the music for The Road, the adaptation of Cormac McCarthy’s cheery book, the movie directed by The Proposition’s John Hillcoat. 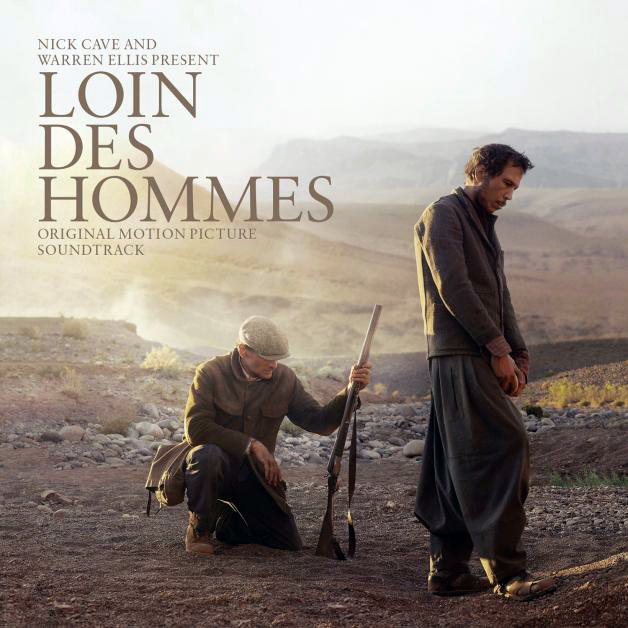 This time, the score is for David Olehoffen’s Loin Des Hommes (“Far From Men”, so nothing to do with the libidinous lyrics of Grinderman), starring The Road’s Viggo Mortensen. It’s adapted from a short story by Albert Camus, so it’s no comedy either. It tells the tale of divided loyalties and violence during Algeria’s war of independence and the soundtrack portrays a film laden with open spaces, threat, menace and tears. It’s got both the intimacy of electronic music and the wide-screen feel needed for cinema, which is a neat trick. It’s mostly piano and violin melodies, with sporadic appearances of other wind and string instruments. There’s little in the way of vocals, though it opens with a vocal chant we assumed was Australian but could be (having looked up the plot) African. It’s an easy to listen to album, and while a bit intense, the sparseness of the sound and the haunting strings make it easy to listen to. Headphones are best.